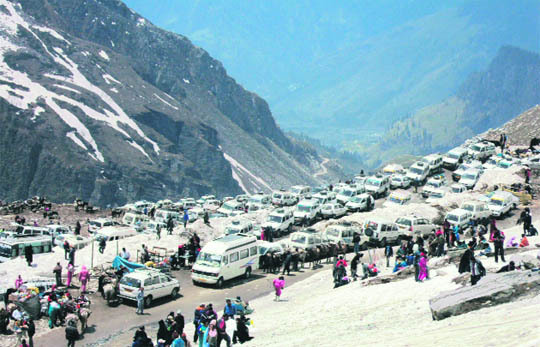 Despite its horrific literal meaning — pile of corpses — the Rohtang pass has always attracted visitors due to its sheer majestic beauty. According to folklore, even the legendary sage Ved Vyas, who authored the great epic Mahabharata, was not immune to its charms and is believed to have meditated in a snow-clad, secluded spot known as Beas Kund, near Rohtang. In 1960, Mughal-e-Azam premiered at Maratha Mandir, Mumbai, in regal grandeur as the print of the film was ushered in on elephant back to the roll of drums. "We were completely mesmerised! Prithiviraj Kapoor, Dilip Kumar and Madhubala had cast a spell then," recalls octogenarian Shrikrishna Ranade, who had attended that historic premiere. Forty-four years later in November 2004, he was fortunate to attend a lavish, star-studded premiere of the restored and colourised version of the classic at Eros theatre in Mumbai. Fashion pundits have given their verdict on the 2010 festival season wardrobe — and for one, hemlines are crawling up with determination. If it is a season for flashing well-toned legs, then it is also time to look for the perfect accessory for those ankles. The good news is that there are loads of them around — anklets, payals and toe-rings — and they are flying off the shelves like hot property.